In June 2015 we re-launched our Turtle Foundation website, which since then contains an integrated blog function. For a transitional period we were posting news and information of our ongoing sea turtle protection work and related issues on Blogspot and on our website in parallel. Since 1st, our website and its blog proofed to run smoothly in the meanwhile, 2nd, many readers already turned to our website’s blog, and 3rd, all posts on Blogspot have been copied to our new blogging site, we think its now time to discontinue posting on Blogspot in favour of using our website’s blog only. Our Blogspot blog will remain here as long as possible in order to direct users still reading this blog to our website and to keep alive older web links still pointing to certain Blogspot posts. However, new posts will from now on published on our website only. A big, great Thank you! goes to all our readers following our Blogspot posts partly for many years, and we hope that you will enjoy our new blogging site on http://www.turtle-foundation.org as well! 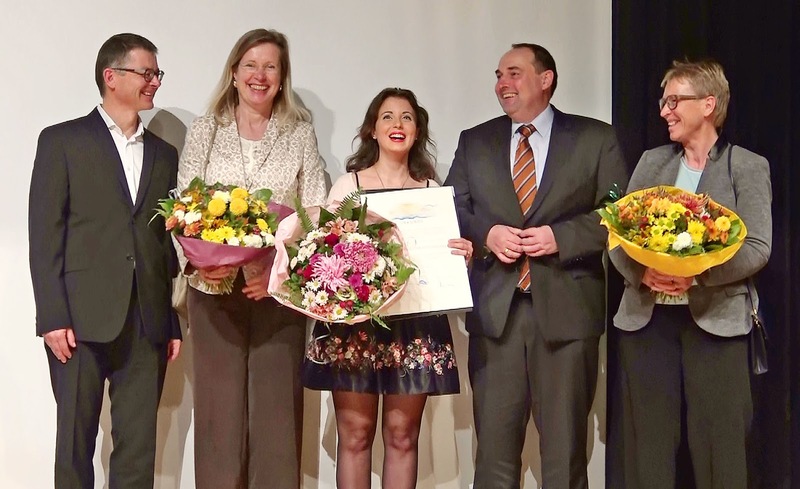 Last Friday, 6 November 2015, the Turtle Foundation was awarded with one of the prestigious environmental awards of the Binding Foundation. The Binding Foundation was founded in Schaan (Liechtenstein) by Dr. Karl Binding, a nephew of the founder of the Binding Brewery in Frankfurt (Germany), and by his wife Sophie Binding. Since 1986, each year the foundation honors individuals or projects that have made outstanding contributions to the protection of nature, landscape, and environment. With this award, the Binding Foundation recognizes the sustained and successful efforts of the Turtle Foundation on behalf of the protection of the sea turtles and their marine environments. The award was accepted by members of the German, Swiss, and Liechtenstein subsidiaries of the Turtle Foundation (image, from left to right: Martin Gabathuler, board member of TF Switzerland; Dr. Hiltrud Cordes, Program Director; Svea Meier, board member of TF Liechtenstein; Dr. Otto Jockel, President of TF Germany; Margrit Roduner-Gabathuler, board member of TF Switzerland). The acceptance speech was given by the President of Turtle Foundation Germany, Dr. Otto Jockel. In his speech he stressed that the Turtle Foundation “is not only appealing for compassion towards sea turtles” but is placing emphasis on “highlighting the special position and role of sea turtles in marine ecosystems”. We are extraordinarily pleased about this special award for our successful conservation work with endangered sea turtles, and cordially thank the foundation council and the curatorship of the Binding Foundation. The award will be a great motivation for us to continue and to expand our conservation projects. Further, we would especially like to thank our employees, rangers, and volunteers working for our projects in Indonesia and in Cape Verde including members of the Cape Verdean armed forces helping in beach protection on Cape Verde, and of course also the many supporters of the Turtle Foundation, without whom our work would not be possible. We will use the prize money of 10,000 Swiss Francs (about 9,230 EUR or 10,050 US$) to continue our conservation projects in Indonesia and Cape Verde. Turtle Foundation. Picture Window theme. Powered by Blogger.